While I have no idea just how the protagonist of Projector Face managed to end up with a film projector for a head / face, it does make for a unique protagonist, that’s for sure. One who, far as I can tell, simply wants to be, but unfortunately trouble seems to be pretty darn good at finding him. Time to find out whether an uncanny movie playing ability is enough to get through whatever fate has in store for this poor misunderstood fella. Another thing that sets this one apart from the norm lies with its narration, which is handled entirely in silent film style. None of that lengthy dialogue nonsense, chatting with everyone you meet along the way, and quite frankly, it’s actually rather appropriate. I mean, it’d be a tad odd if a wandering projector spoke, ya know? That’s not to say you don’t get to interact with the world, as there are plenty of puzzles to solve, whether it be through good ol’ inventory manipulation, fixing film reels, playing said reels on a nearby flat surface, or something entirely. Oh and locals to befriend. Kids, mostly. Kids who, in this world, for some reason don’t even care that whatever short movie Projector Face has to show them is not in 4K or put up on a 60″ screen. What a strange, yet lovely, place. 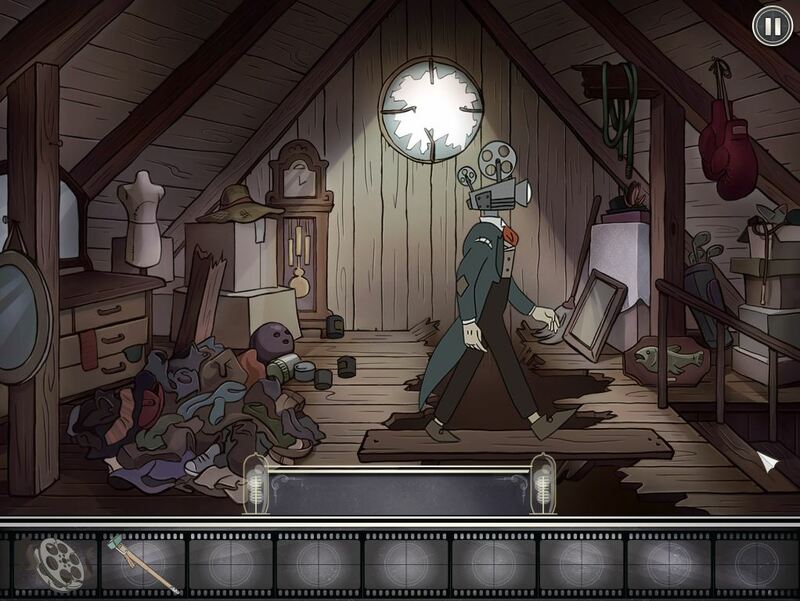 Projector Face is available from Steam, carrying a $4.99 price tag.